Pera do campo is a rare Eugenia from the campos or rolling plains of central Brazil (Minas Geraes). This fruit has recently been introduced into the United States. It is not a very common plant even in Brazil too. It usually grows savannas and open fields. It is not cultivated much. 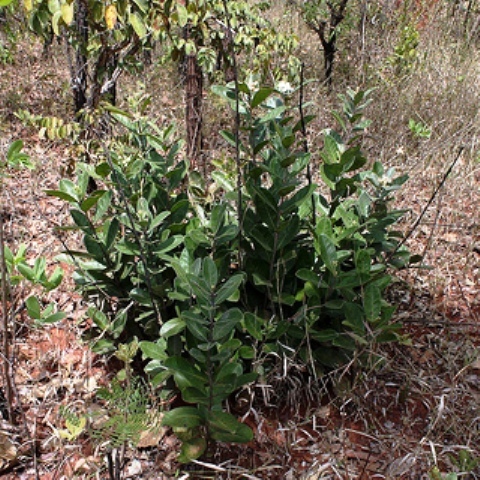 A deciduous shrub, 0.5 to 1.5 m tall, with recumbent and or prostrate limbs. 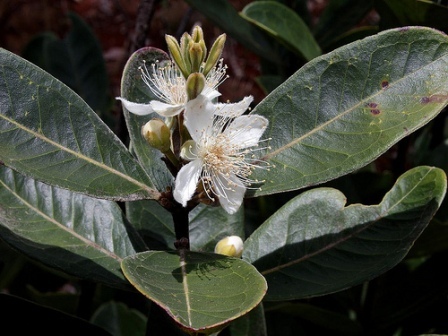 Leaves simple, coriaceous, with dense white pubescence when immature, 6-10 cm long with discreet nervation. Flowers androgynous, solitary, axillary, white and fragrant with a 2-4 cm peduncle. Fruits pyriform, 5-10 cm long, 60-90 g, skin thin, pubescent, golden yellow; pulp thick, carnose succulent, highly aromatic with a very characteristic acidic flavour. Seeds 1-3, irregularly oval in shape, small, loose. Perra-do-campo trees flower during October-November around Brasilia in Brazil. The fruit are ready from December to January. The fruits are edible, though have some sour taste. These are eaten fresh. They are made into a jelly. However, this fruit is not much known among people even in its native area. This fruit is not much known and is therefore rarely cultivated. It can be propagated from seeds. 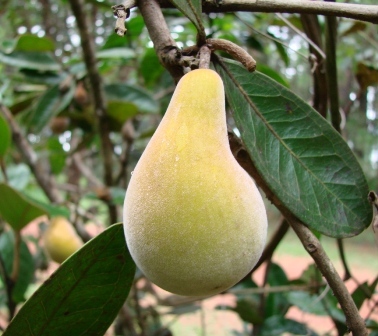 However, the fruit has caught notice of growers from outside Brazil too and efforts are being made by few organizations like California Rare Fruit Growers and Australian New Crops to promote it in the US and Australia.